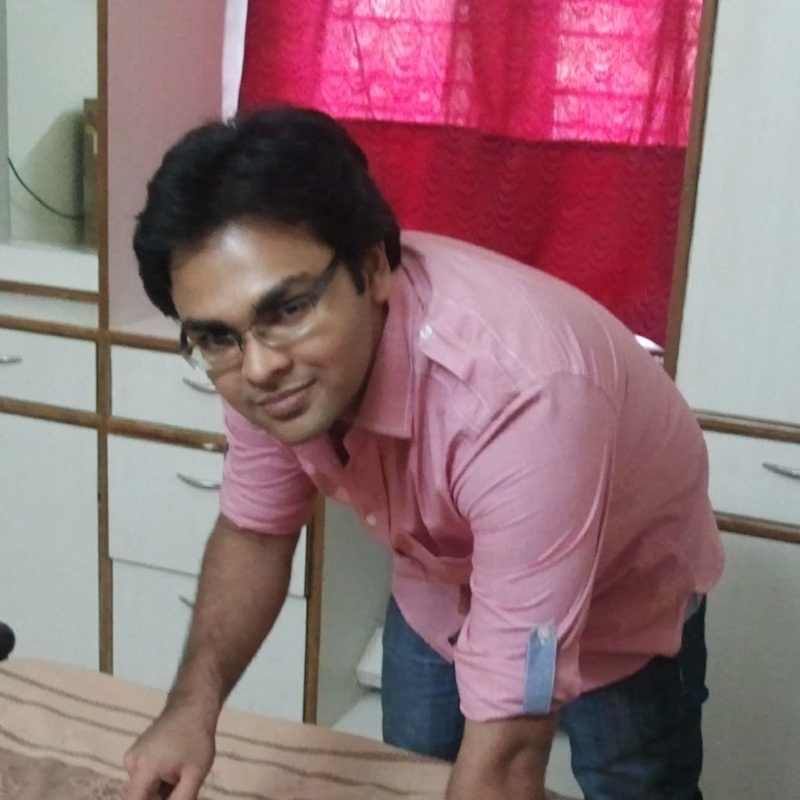 "Cooking is like painting or writing a song. Just as there are only so many notes or colors, there are only so many flavors - it's how you combine them that sets you apart." Avocado and Mint Gazpacho: Gazpacho is a soup of Spanish origin and is generally served cold. It is usually a blend of stale bread, cucumber, tomatoes and a few other odds and ends. This version had avocado as its base and was served with a lovely jeera namakpara. The perfect start to a meal on a warm summer noon or evening. 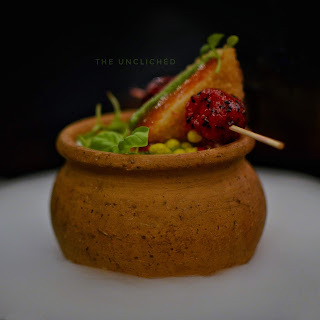 Curd Rice Tikki Chat, Besan Pearls, and Dragon Scoop: One of the most dramatic starters on the menu, this was served in a clay pot-like vessel, which was sitting on a bed of liquid-nitrogen. As stunning as this was to look at, the flavors combined wonderfully in this one. At the bottom was curd rice topped with pomegranate seeds and a bit of aloo-bhujia. Delicately balanced on it was a crisp aloo-tikki and a couple of scoops of balled dragon-fruit on a skewer. A chaat from the North of India, a South-Indian staple and a fruit from the far-east, fusion at its best! Santre-Wala Chicken Tikka: Orange with your chicken? You would be surprised at the burst of flavors in this one. The smokiness from a tandoor, the fresh tang of an orange and perfectly cooked succulent chicken pieces, this was a superb rendition. It just goes to show how the basic flavors in food can be manipulated to result in an explosion of tastes on your palate. 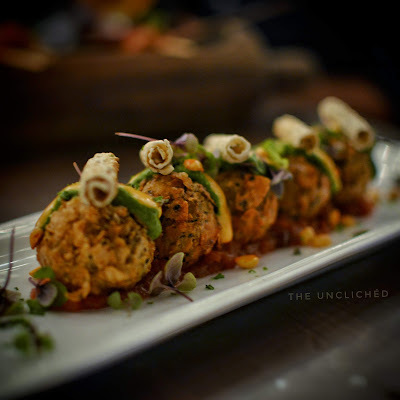 A few other dishes such as the Tandoori bacon-wrapped prawns, the Panch-Phoran Paneer Bhurji Tarts and the desi curd poppers were pretty decent as well. We ended the first course with the unique and refreshing palate cleansers at Farzi Cafe. These lollipops (for use of a better word) were hajmola-flavoured sorbets with a dash of strawberry syrup for company. 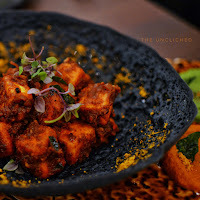 Paneer Ghee Roast with Charcoal Appam. As dramatic as it looked, the flavors were spot on. 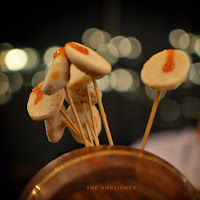 A Tangy, spicy roasted paneer in a ghee-rich thick, red gravy served lovingly at the center of a crisp charcoal appam. Wonderfully authentic flavors were celebrated with presentation extraordinaire. 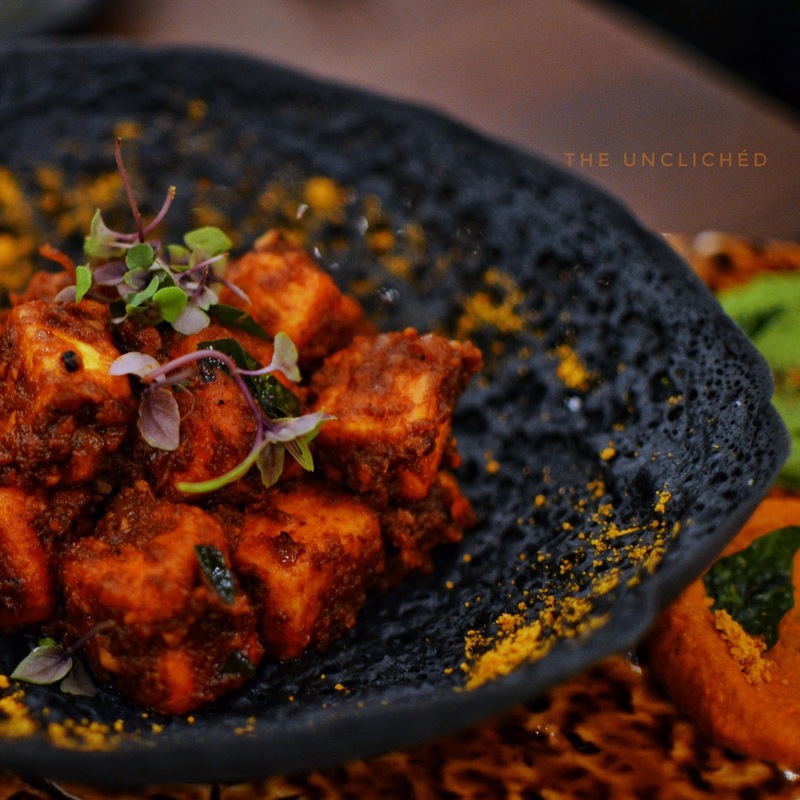 Andhra Style Chili Chicken with Thatte Idli: Idli in a fine-dine you say? This was no ordinary combo, mind it! Spicy-Andhra-style chili chicken in a green gravy on a bed of soft, spongy, plate(thatte)-sized idlis. 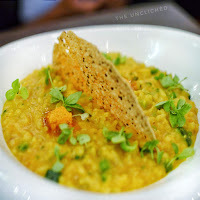 Dal-Khichdi Risotto: This dish was nostalgia-repackaged! A lovely-homelike dal-khichdi with bits achaar, garnished with coriander leaves and finished off with a crisp pappad at the center. This dish added new meaning to comfort food at a fine-dine. Flourless Chocolate Cake with Tanqueray Mousse: Memories of this dessert get my salivating, this was that good a dessert. An intense dark-chocolate cake (it was so soft, it wobbled all the way from the kitchen to our table), and yet, so well made it was that it did not disintegrate when we dug into in. There was this lovely crumbled which has orange zest, and it cut through the slight bitterness of the dark chocolate with ease. Words fail me, when describing this creation. A must-try when you visit here. Fenni Nest, Chenna balls, and Flavored Milk: This dessert was definitely a stunner in terms of presentation. A lovely nest of crisp fenni at the center of which sat a few cottage-cheese(chenna) balls. 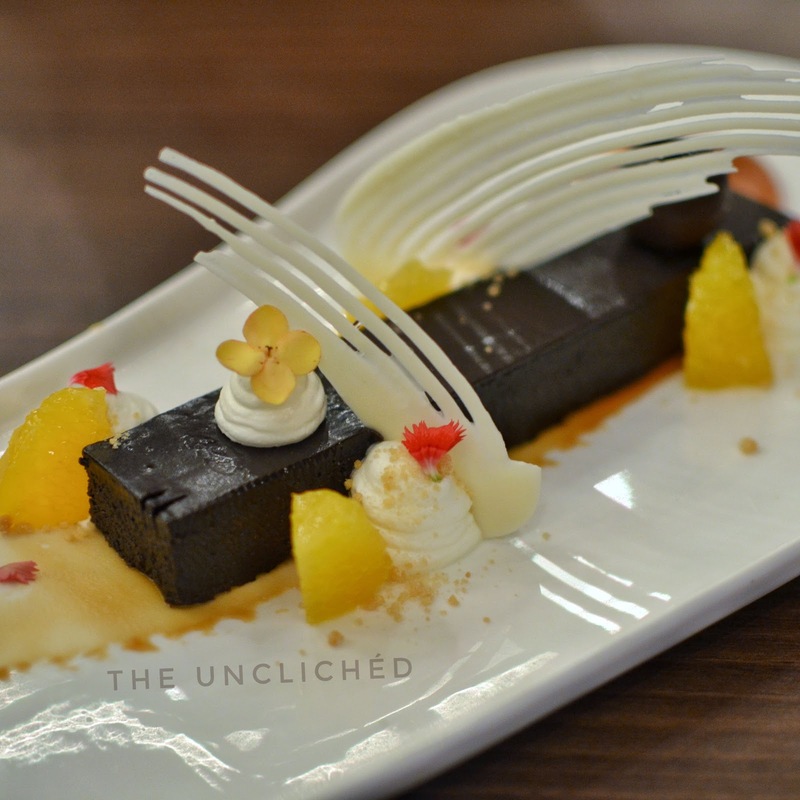 With a bit of flair, a delicately flavored saffron milk was poured over this to complete this spectacle of a dessert. This was a lovely adaptation of the traditional rasmalai. Brilliant presentation and lovely flavors, but my heart would go out to the flourless chocolate cake as a choice for dessert. Verdict: Farzi Café is often criticized for its extravagant presentations and the adaption of traditional dishes to fusion food. 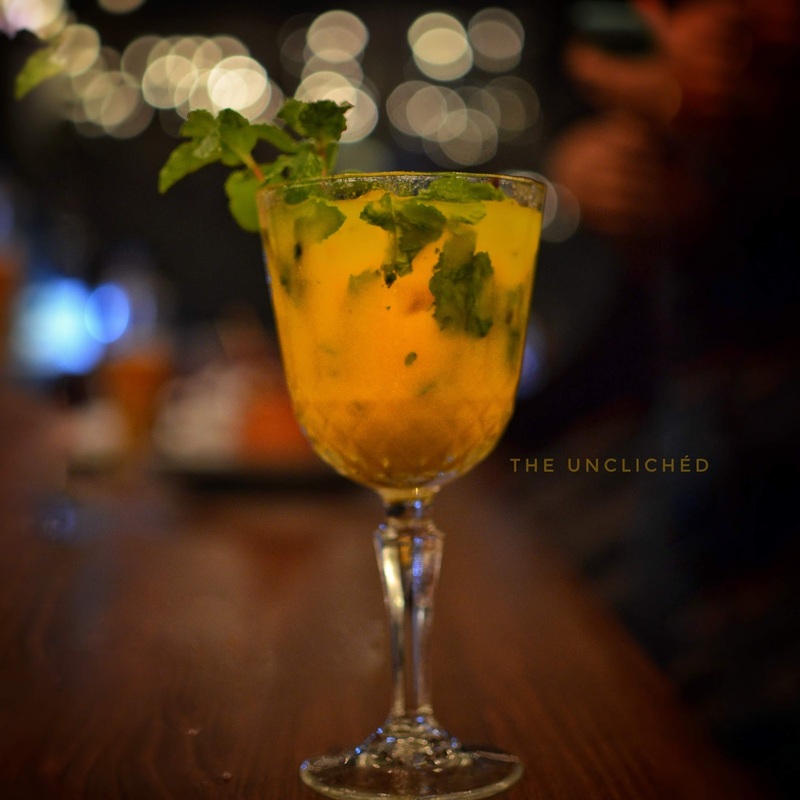 While food is highly subjective, and traditional Indian flavors need to be retained, I see the food here as an exploration of the limits to which Indian Cuisine can be taken to. Have an open-mind and let your palate do the talking (not literally), as you experience seemingly familiar flavors in an unfamiliar terrain. You will not be disappointed!